Basic Health Publications, 9781591201809, 187pp. 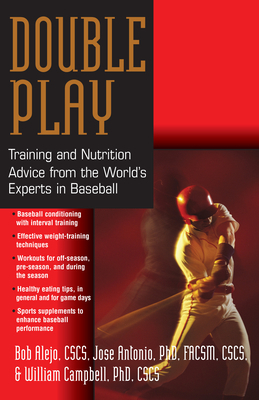 Written to help athletes get in better shape to play the best baseball of their lives. Eating right, taking the right supplements, and engaging in a proper training regimin all contribute to overall baseball performance. Provides healthy eating tip, in general and also for game days, and advice on how athletes can safely gain or lose weight. Sports supplements to enhance baseball performance are discussed, as are restorative measures (whirlpools, massages, rehabilitation).